We’re Celebrating #SBDCDay, but what do you know about the SBDC? The Small Business Development Centers (or SBDC) is a national network of centers dedicated to the development and growth of small businesses and are usually hosted by local leading universities or state and local economic agencies or private partners. There are four main SBDC centers in Minnesota serving small businesses. SBDC Day is a collective national recognition of the impact the SBDC has on local small businesses. #SBDCDay unites over 1,000 centers across the United States by sharing success stories of their collective small business communities. 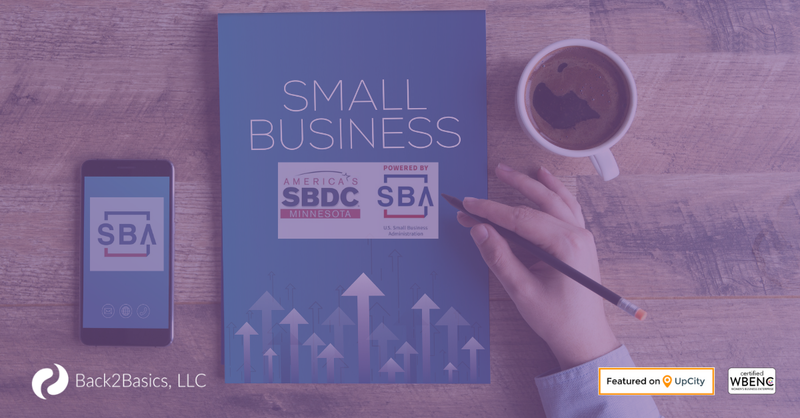 Back2Basics, LLC is a SBDC Day Ambassador because we believe in the strength of the centers and the valuable training, resources, and reach they provide to small businesses. The SBDC in Minnesota is one of the first resources we recommend to new local business brands we’re working with to launch their brand. Want to learn more? Visit the SBDC website to locate service centers near you!